Recent research into Usui&apos;s authentic Reiki teaching has uncovered Reiki&apos;s true history, the methods Usui actually taught, and the organization which preserved his teachings. This means we have a great opportunity to learn the real history of Reiki, and its actual origin in esoteric Buddhist teachings. Usui Reiki Ryoho Gakkai still exists and is still teaching new students, but is a closed society which is difficult to enter. Others whose lineage comes from Dr. Hayashi are active in Japan. Among these books are writings drawing from both schools, and offer us Reiki teaching closer to what was taught by Usui Sensei. Because of the context in which Mrs. Takata brought Reiki to the United States - the US was at war with Japan after all - she had to Westernize the practice, meaning much was lost in the translation. Mrs. Takata clearly had no choice given how Japanese people were viewed during that time. Thousands of Japanese-Americans, for example, were kept in internment camps in the desert. What&apos;s amazing is that Mrs. Takata was able to practice and teach Reiki in such an anti-Japan context. Students of Usui&apos;s and Hayashi&apos;s lineage preserved the authentic Reiki practice in Japan. Starting around the year 2000 information began to trickle to the rest of the world, and the books below began to be published. 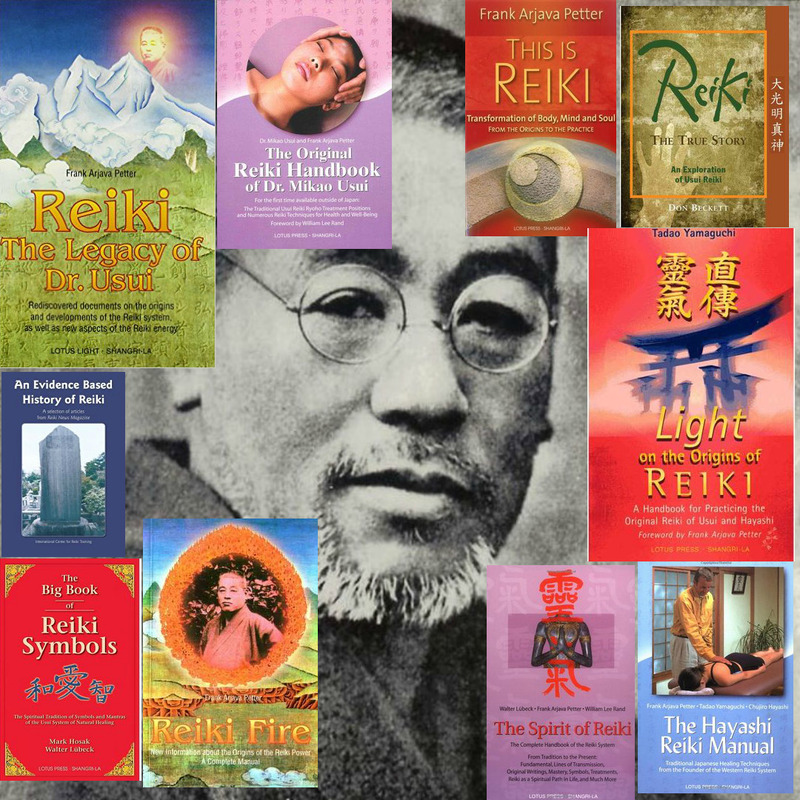 These books present authentic information about Reiki to Western audiences so that we can all better acquaint ourselves with Usui&apos;s authentic Reiki system. Written by a European man, Frank Arjava Petter, living in Japan, who came in contact with Reiki practitioners of Dr. Usui&apos;s lineage. Rediscovered documents on the origins and developments of the Reiki system, as well as new aspects of the Reiki energy. 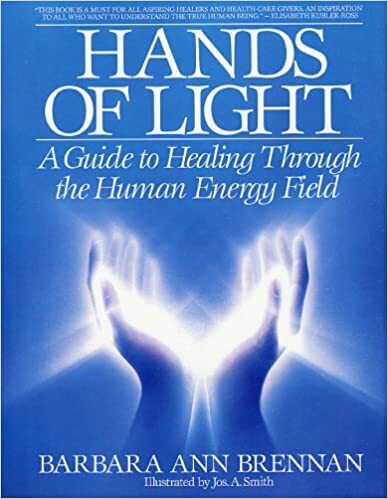 This book draws heavily from Dr. Usui&apos;s Reiki Ryoho Hikkei (Handbook). It came about when Frank Petter met Reiki practitioners in Japan from a lineage other than Hayashi. Interestingly it includes both numerological and astrological readings of Dr. Usui. It says that while Dr. Hayashi had a status of Reiki teacher, the title for which is "Shihan", he was never the head of Usui Reiki Gakkei. That was the Reiki organization created by Usui. Instead, Mr. Ushida succeeded Usui as head of Usui Reiki Gakkei, and there were a series of successors following him as the head of Usui Reiki Gakkei. This is important information for the lineage which spawned Western Reiki, since we were told Hayashi-san was Usui&apos;s designated successor. The bulk of this book covers new information about applying Reiki in the mental body, to gain spiritual freedom, and more. More information from Petter&apos;s research in Japan. It not only gives more information about Reiki&apos;s origins, but is a complete manual for learning Reiki. It was the first book to present documentation of the true history of Usui and Reiki, as well as a few methods from Usui&apos;s teaching. 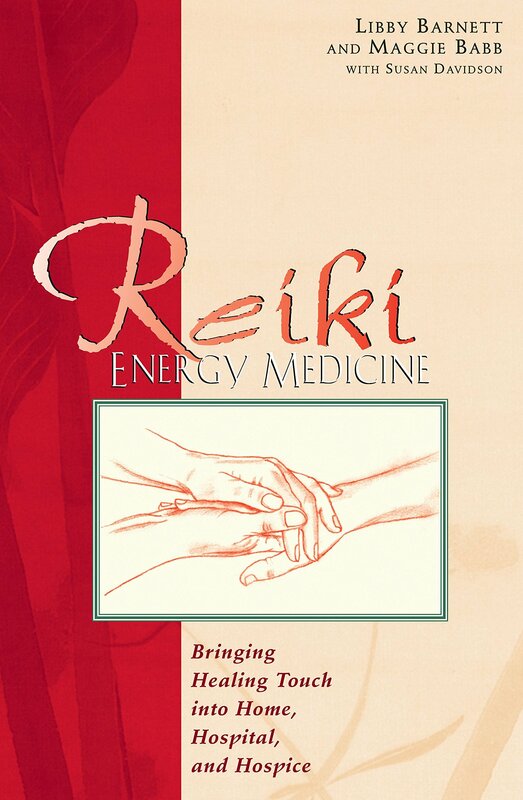 However, most of the book focuses on using Reiki as a practitioner. The Reiki History is explained very different from the books which adhere to the story Takata passed to us. But first the author explains how he came to know the true story of Reiki. Frank Arjava Petter is a German man living in Japan and married to a Japanese woman. He learned Reiki in Germany from a teacher of Takata&apos;s lineage (as most of us did) and hence learned Reiki originally in the style which Takata taught us. He went back home, to Japan, and began to offer Reiki Teacher training, in Japan, and was the first to teach Western Reiki in Japan. Eventually he found people who had been trained in Reiki by Usui&apos;s lineage, and their lineage had nothing to do with Hayashi nor Takata. It is from them where he learned the true history of Usui and Reiki. He also found Usui&apos;s memorial stone and burial place (at Saihoji Temple, a Buddhist temple in the suburbs of Tokyo), and provides a complete translation of the long story written on his memorial stone. First, we learn his name is really "Mikaomi Usui" and are told the full lineage of his family. He had a wife, a son, and his family members seem to be embarrassed over what he did in his life. Usui taught Reiki to about 2000 people before his death, and there were Reiki centers and workshops being taught all over Japan. This is a very nice, and thin, book about Reiki in all of its facets. If it did not include this new information about Usui, it would still be a nice and useful book. However, this new information about Usui is earthshaking in terms of what it means to the history and practice of Reiki. 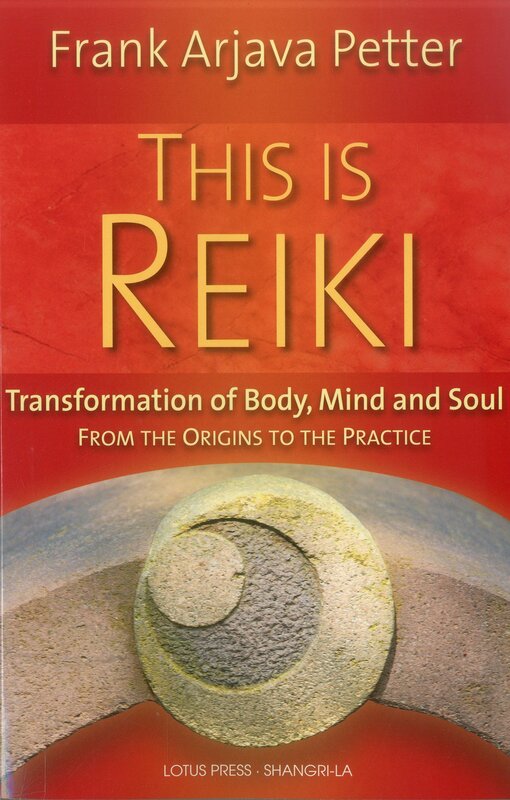 This book is highly recommended on all levels, especially if you want to learn about the true history of Reiki. In this book, Frank Petter is able to reprint Dr. Usui&apos;s own teaching manuals. It shows the original hand positions taught by Usui, with pictures and illustrations, and specific recommendations for treating specific conditions. 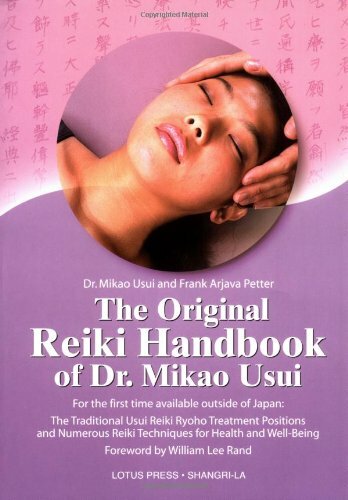 This book demonstrates that Reiki was not an oral tradition, because this is Usui&apos;s own written handbook. The methods shown in the book are quite advanced, and are reported to increase ones Reiki power considerably. This book is divided into three portions, loosely defined. The first is a discussion of the Buddhist background of Reiki. Usui was a Buddhist (again, contradicting the Hayashi/Takata story that he was Christian), and it is helpful to understanding Reiki to understand the Buddhist context from which it sprang. The next part is an explanation of the "three pillars" of Reiki practice, as well as a few other points of information. Reiki isn&apos;t just about performing healing, but is a path of enlightenment. The three pillars are said to be Gassho, a specific meditation style, Reiji-Ho, a style of invoking the Reiki energy, and Chiryo, or the way of giving treatment. The style of giving Reiki treatment taught by Usui is very intuitive, which is again different than the regimented style taught by Hayashi. In the Handbook we learn that Usui taught to first meditate using the gassho method, second invoke the Reiki energy (reiji-ho) and third intuitively move the hands to wherever the energy takes them. The whole treatment is to be done in this intuitive way. At the same time the Handbook describes dozens of specific treatments for specific ailments. In the Handbook it isn&apos;t discussed why Usui gave specific treatments, but my guess is he wanted his students to have a starting point when in doubt over what to do. 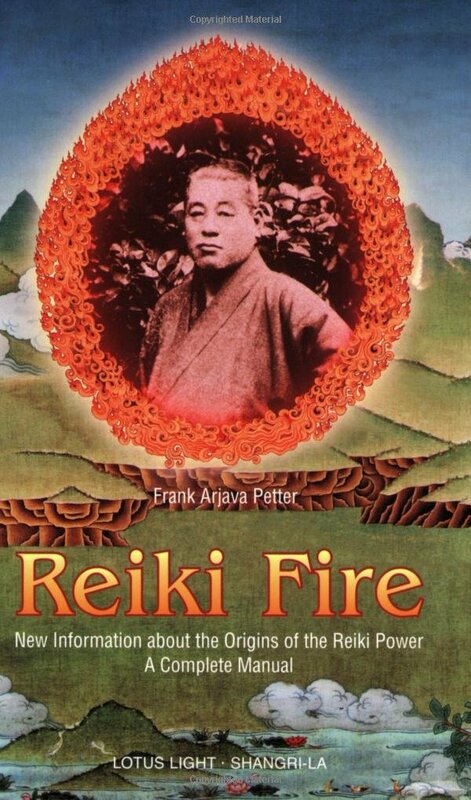 In this book Frank Arjava Petter turns to Dr. Hayashi&apos;s method for teaching Reiki. It not only contains Dr. Hayashi&apos;s story, but an English translation of Hayashi&apos;s Ryoho Shishin. Co-written by Frank Arjava Petter and Tadao Yamaguchi, it contains historical information of Hayashi and other teachers in his lineage. Yamaguchi-san&apos;s family has practiced Reiki in Japan since learning it from Hayashi-san. Original documents are included written by Hayashi, and it contains a complete translation of his manual. By Don Beckett, this book tells the story from a group of Mikao Usui&apos;s original students. They kept the teachings in secret for over seventy years. 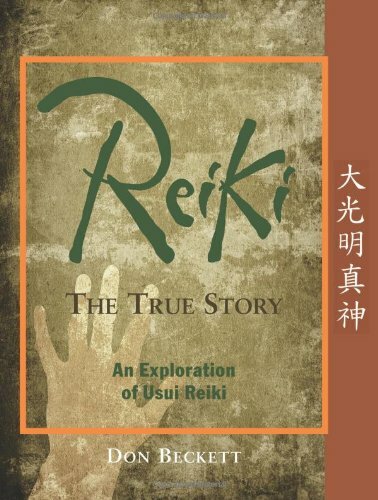 This book contains an in-depth history of the Reiki discipline, including testimony from some of Usui&apos;s students. Included is an in-depth manual for practicing Reiki. One chapter, entitled "Beyond Reiki", bridges knowledge of Reiki with the lesser-known practice of Johrei. By William Rand, this book is an in-depth exploration of Reiki&apos;s history by one of the leading Reiki teachers in the world. Rather than rely on legendary stories, Rand compiled information from a number of authentic sources "using accepted methods of historical research". What&apos;s attempted here is to describe how Usui Reiki had been originally developed and practiced by its founder, Usui Sensei, and also how it changed and evolved as it was passed on through Hayashi Sensei and Takata Sensei. 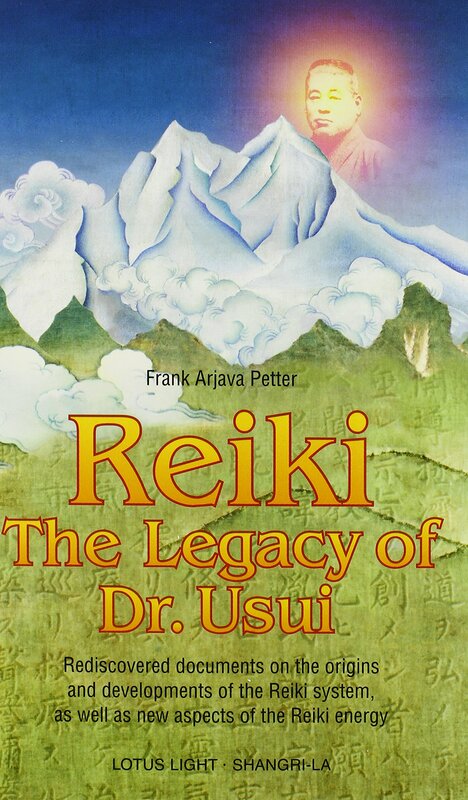 More work by Frank Arjava Petter, to express what Reiki is drawing on information sources dating back to Usui&apos;s own organization, the Usui Reiki Gakkei. The historical information presented is based on written journals, documents, family photos, and interviews. This helps us get a better understanding of the events that influenced the development (and later decline) of Reiki in its place of origin. There is a tour of sacred Reiki sites, the deities and spiritual practices that are behind some of the beliefs and techniques of the Reiki we do today. By Tadao Yamaguchi, this book tells the story of Dr. Hayashi&apos;s Reiki as it was preserved by the Yamaguchi family. It is an excellent guide on the practice of Reiki. 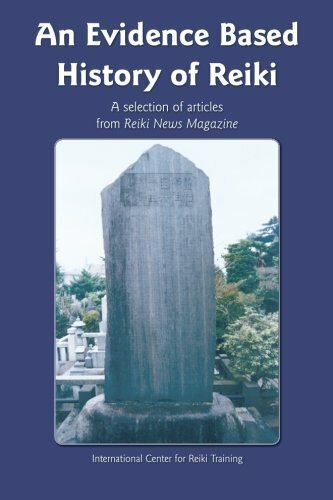 There are numerous photographs, explanations of the effects of Japanese culture and history on the emergence of the Reiki System and claims of efficacy of Reiki Ryoho. Being one of the few books about Reiki written by a Japanese practitioner, the book serves to clear up some of the "wrong" information passed to us by Mrs. Takata. 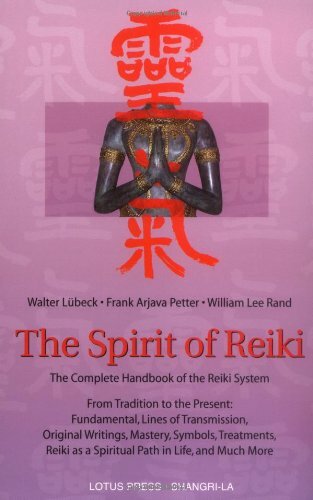 This is essentially a big encyclopedia of Reiki knowledge written by two leading authors in the field -- Mark Hosak and Walter Lubeck. They describe the history of the spirituality behind the symbols, helping to position Reiki within the context of the traditions from whence it came. 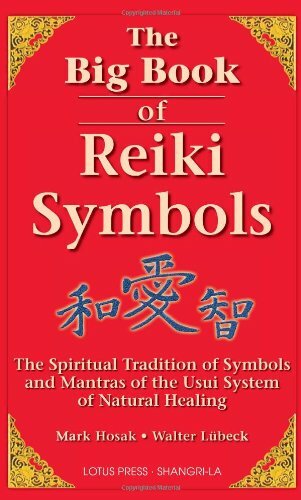 This book answers many of the questions we Reiki practitioners have about the symbols, what they really mean, and how to use them. There is a deep and extensive history of Buddhist, Taoist, Shinto and Shamanic practices that make up the spiritual life of Japan. Dr. Usui was an adept of those traditions, and developed Reiki from them. If gaining a deeper understanding of Reiki is your goal, this book is worth your time. It contains an overview of the history of those religions, and an in-depth study of Reiki within their context. There&apos;s a whole chapter on various Mudra&apos;s related to Reiki, and other chapters have an in-depth discussion of several Reiki symbols. Walter Lubeck, Frank Arjava Petter and William Lee Rand teamed up to write this book. Each are top Reiki teachers, and they draw on their respective lineages to give this book great depth. The authors said this "We decided to write this book together to share our love and knowledge of Reiki with each other and with the Reiki community. It is our hope that with this book, the love that we have for each other and for Reiki will spread throughout the Reiki community around the world." The Spirit of Reiki is part of a series of books offering a reframing of the entire story of Reiki, and contains a wealth of information on Reiki never before brought together in one place. The broad spectrum of topics range from the search for a scientific explanation of Reiki energy to Reiki as a spiritual path. It includes the latest understanding of Dr. Usul&apos;s original healing methods, how Reiki is currently practiced in Japan, an analysis of the Western evolution of Reiki and a discussion about the direction Reiki is likely to take in the future. A definition of Reiki is included along with class outlines, an in-depth analysis of the Reiki symbols, and a discussion of the teacher/student relationship. 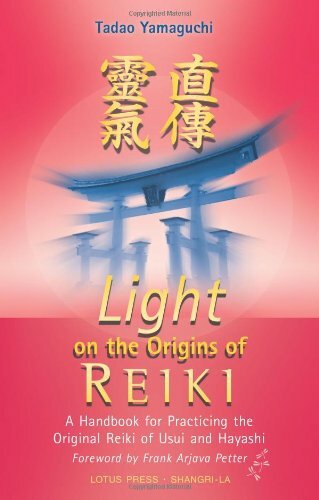 Chapters about Dr. Mikao Usui, Chujiro Hayashi, Hawayo Takata, and other important figures, supplemented by original writings, make this book an important document of contemporary Reiki history. Part I, The History of Reiki In this section they explore and explain the history of Reiki. How did Reiki come to the Western World from Japan? They perform a point-by-point examination of Mrs. Takata&apos;s story of Reiki, showing the truth related to each of her claims. While Mrs. Takata&apos;s story comes up lacking in factualness, they point out an intriguing angle. Mrs. Takata brought Reiki to America at the same time as the beginning of World War II. Consider the difficulty she might have, as a Japanese woman, teaching a Japanese system, in a country at war with Japan, while living in Hawaii, the territory that suffered direct attack by the Japanese, and which housed the headquarters of the Naval fleets which were directly engaging with The Enemy. Of course she would have had difficulty teaching a "Jap" system in the America of that time. This gives us some idea why she might have changed the stories, and the teachings. It was for her own safety, and in other ways make the teachings more acceptable in America. Part II, Reiki Energy Basics Here is discussed the energy itself from many different angles. A long exposition covers the inner meaning of the older written form of the Reiki symbol. Another essay concerns the Japanese system for describing different forms of Chi. And in the other chapters they discuss the Meridian system, the Aura, the Chakras, and other aspects of the human energy system. Part III, Reiki Practice This section concerns the learning of Reiki, the relationship between teacher and student, and various ways of practicing Reiki. Chapter 18 is especially interesting as it covers, in depth, over 20 different energetic or meditative techniques taught by Usui. Part IV, Reiki Today and Tomorrow As implied by the section title, this section covers _"where do we go from here. "_ They discuss Reiki as a path of spiritual enlightenment, the mystic aspect of Usui&apos;s system, etc. They also talk of how Reiki will help to bring world peace. Part V, Appendix This contains some random extra information. The most interesting may be the discussion of what to do while in Japan, especially at the Temples, to show proper respect and not be an offensive westerner. Many of us may well be drawn to make the pilgramage to Usui&apos;s grave, and it is important that we properly respect Japanese traditions in and around the temples and cemetary. 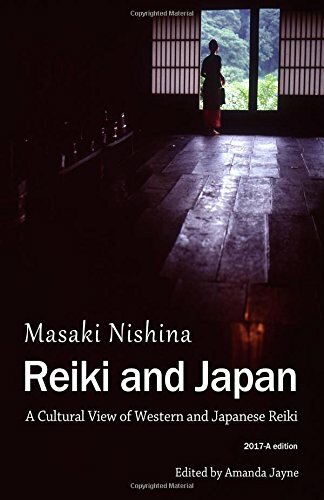 Like the Big Book of Reiki Symbols, this book tries to connect Reiki with the Esoteric Buddhist background which Usui was probably studying. 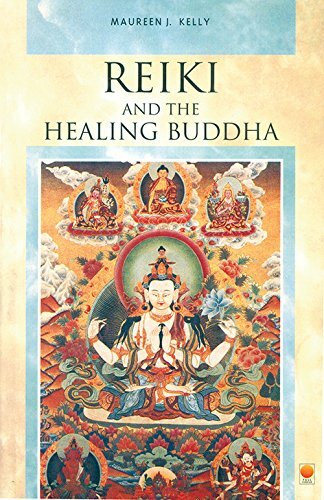 The author, Maureen Kelly, read in Takata&apos;s history of Reiki that Usui had to turn to Buddhism in his quest to learn how to heal, and so Ms. Kelly undertook her own study of Buddhism. We&apos;re talking about the sort of Buddhism that deals with symbols, dieties, Buddha&apos;s, richly decorated Mandala&apos;s, and so forth. One of the keys in Maureen Kelly&apos;s treatment is the Ba Gua. This form is best known from Feng Shui, but is of Chinese origin more ancient than the arrival of Buddhism in China. The Buddhists used the Ba Gua heavily in explaining their principles to the Chinese, and this heavily influenced the form of the Mandala&apos;s. Ms. Kelly returns to the Ba Gua several times. And, again, each of these connections are discussed in-depth in the book. What might be controversial is her reinterpretation of the method for drawing the Distance and Master symbols. Both of these symbols are drawn using Kanji, the standard way of writing Chinese and Japanese characters. However the years and ignorance by Westerners in the proper way of drawing these characters have led to the great variations in the symbols being taught. Kanji has rigid rules on drawing the characters which, if followed, produces the same result every time. This is contrasted with the Shosho style of Chinese and Japanese calligraphy where the drawing of the characters flow from the energy of the moment in which they are drawn. This has lead her to a different rendition of both the Hon sha ze sho nen and Dai ko myo symbols that she claims to be more accurate. She also claims we can retrain our Reiki attunements simply by practicing drawing the symbols in this other format. In her analysis the Sei Hei Ki is evolved from the first letter of the Gupta alphabet, an early form of Sanskrit. In this alphabet the symbol represents the ah sound which is the first letter of many alphabets, and is "a mystic symbol for the ultimate beginning or creation of the universe, and for the creative power which brought the cosmos into being." Hence this phoneme is common in the names for the Deity such as Yahweh, Jehova, Allah, Ra, Baal, Ahura Mazda, Mab, Adman, etc. The ah sound is also associated with the Heart chakra. Usui&apos;s method appears not to have been to teach new things, but rather to help practitioners break down their accumulated old patterns and &apos;bad habits.&apos; In this way practitioners would gradually discover their true nature and realise that inherently each human is the keeper of all the konwledge that he or she requires. The basic premise of this method is that healing exists within each person, not outside, and therefore the essence of the teachings is self-practice. The ultimate healing tool is the practitioner&apos;s own dedication to healing the self: another can never give this depth of healing. How I describe this is that we all have a spark of the divine within. The divine mission we all have is the inner healing that allows our divine spark to shine clearly. Our individual divine spark contains what will enable self healing. The book is split into two major sections. 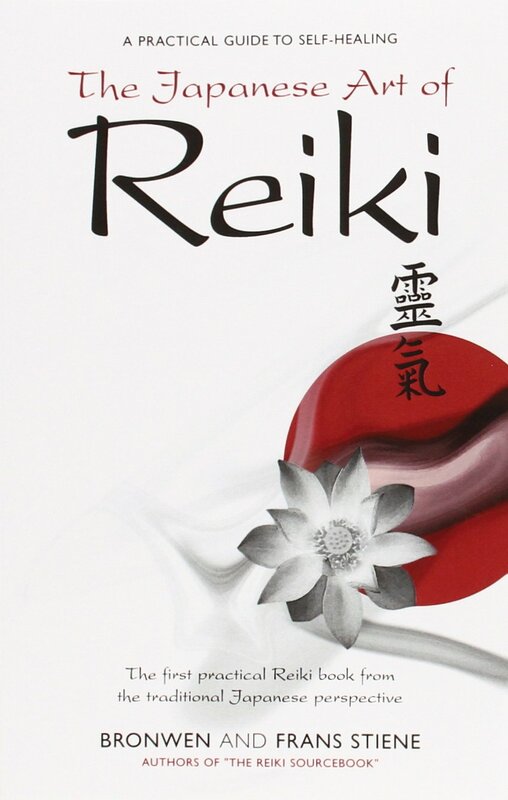 The first relates the context of spiritual practices in Japan within which Usui developed Reiki. It&apos;s claimed the major influences on Usui were Tendai Mikkyo, Shintoism, martial arts and Shugendo. The second portion deals with six areas of Reiki practice, especially focusing on self healing. For example Gokai is what we know as the Reiki Principles. 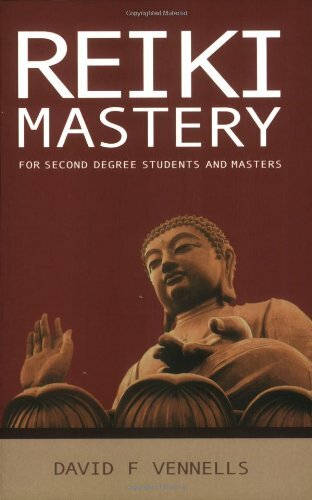 The book discusses how these are really Precepts, that Usui taught similar Precepts as early as 1915, and how to understand application/use of these principles/precepts in the way of Buddhism. The purpose of this book by David Vennells is to develop real Mastery in Reiki students and Masters. It does this by delving fairly deeply into the nature of the material taught as Reiki. Vennells is himself a Buddhist teacher, and as we all now know Usui was himself a Buddhist it is useful to examine Reiki from the perspective of Buddhism. This book progresses through Reiki, doing exactly that - examining the Buddhist perspective of Reiki. The first chapter is a translation of the inscription on Usui&apos;s gravestone. The inscription which tells the story of how Usui developed Reiki, and the number of students he had. The next chapter goes over the five Reiki Principles. Following that are chapters on the Reiki symbols, starting with a general discussion of symbols and then progressing through each of the symbols one at a time. One question to ponder in relation to this book is whether Reiki is a Religious system. Most of us think Reiki is non-Religious. Therefore, is Reiki Buddhist as Vennells suggests? A warning is given in the introduction that this book is colored by Vennells background as a Buddhist teacher. 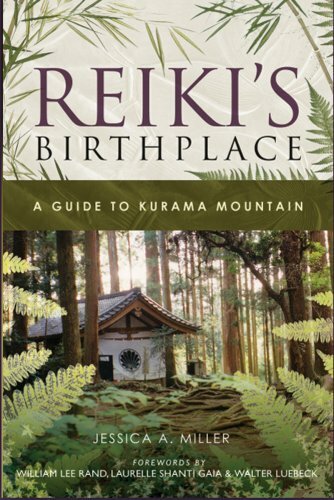 Part travel-guide and part guide to experiencing the essence of Kurama-yama (Mount Kurama), this book shows you the place where Usui Sensei had his visions through which Reiki was developed. Those experiences weren&apos;t just a story told to us by the Reiki Master who taught us. They happened to a real man, who lived in the Kyoto area, who climbed Mount Kurama, who had a real spiritual awakening, and who taught Reiki to others. A serious student of Reiki might travel to Kurama-yama to experience the place directly. Traveling to that place may help one gain a deeper understanding of Reiki, from the information available in that location. This guide will help you on such a journey to better understand the things present in that place. And, if you cannot afford to take the journey yourself, the guide can metaphorically transport you to that place, to experience it at a distance. The author, Hiroshi Doi, is a member of Usui Reiki Ryoho Gakkai, the original association started by the founder of Usui Reiki, Usui Sensei. Since Usui Reiki Ryoho Gakkai is a closed association that&apos;s difficult to enter, the teachings and information held by that association are not widely published. Doi-san has received permission to publish the information in this book, directly from Gakkai archives. The original version of this book has been out of print for many years. This edition is distributed by a publisher who is also a Reiki Master, and who worked closely with Hiroshi Doi to update and refine the book. 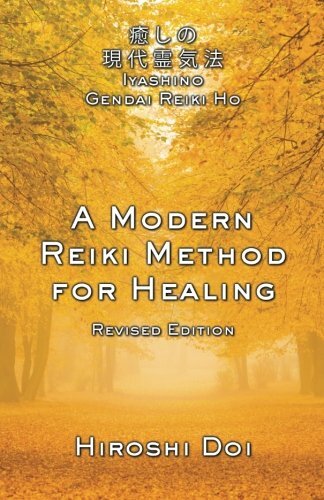 This is an important book that preserves the original concepts and methods taught by Usui Sensei while at the same time offering a practical system of Reiki for modern times. The author is a Japanese former-Astrophysicist who learned Western Reiki, and then Jikiden Reiki, later switching careers to healing and teaching. He offers this series of insights into Reiki -- (1) How Japanese historical events influenced Reiki, (2) How Reiki compares to other healing therapies of the time, (3) How the survival of Reiki was threatened after the war, (4) What changes Western culture made to Reiki, (5) The detailed differences between Western and Japanese Reiki, (6) How Reiki is deeply rooted in Japanese culture and Shinto, and (7) What we can all learn from that ancient culture.